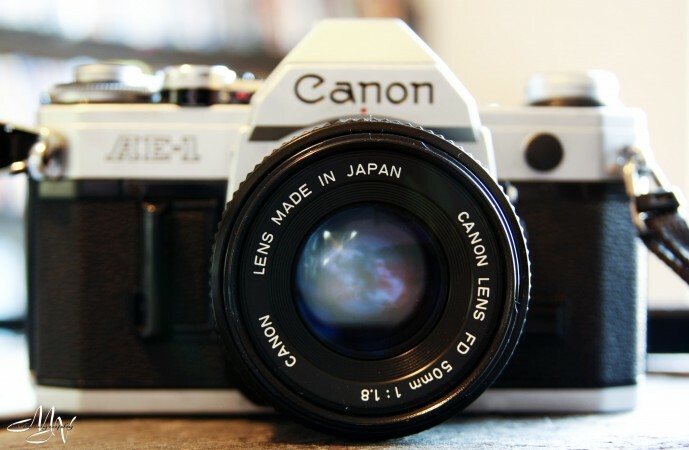 Canon AE1 | Project Three.Six.Five. Photography is apparently in my blood. I’d wondered where my love for it came from but it wasn’t until I’d worked for several years at a few studios that my mother, during one of my infrequent trips home, dug out a large case from the depths of her fathomless closet (seriously, where did she keep all that random stuff she’d pull out of there?!). She said it belonged to my dad, gifted from his cousin-in-law, but my dad had never used it. Looking back at old family pictures, I realized most of the shots were very artistic posed candids; I guess my dad had always had a good eye. Anyway, in the case was this beauty, along with several other goodies/accessories. I’ve yet to use it though, as I haven’t had the time to figure out what I need to get it functional but some day, I will!